If you are visiting Greece you must take a city tour in Athens, because there are plenty of important and beautiful buildings in the city. 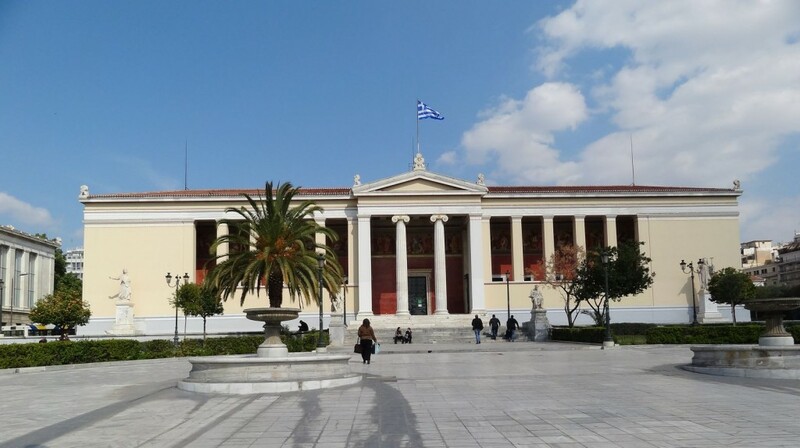 From all the important and gorgeous buildings in the city is worth to see the National Library, the Academy, the University, the Parliament and the Syntagma Square, where you can see the changing of the guards. 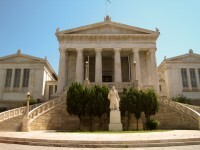 Of course, there are some other neoclassical buildings in Athens as well, but we intended to present you these four. Athen’s Academy was built in two stages, in 1859-1863 and 1868–1885 and lies in the center of the city between Panepistimiou Street and Akadimias Street. 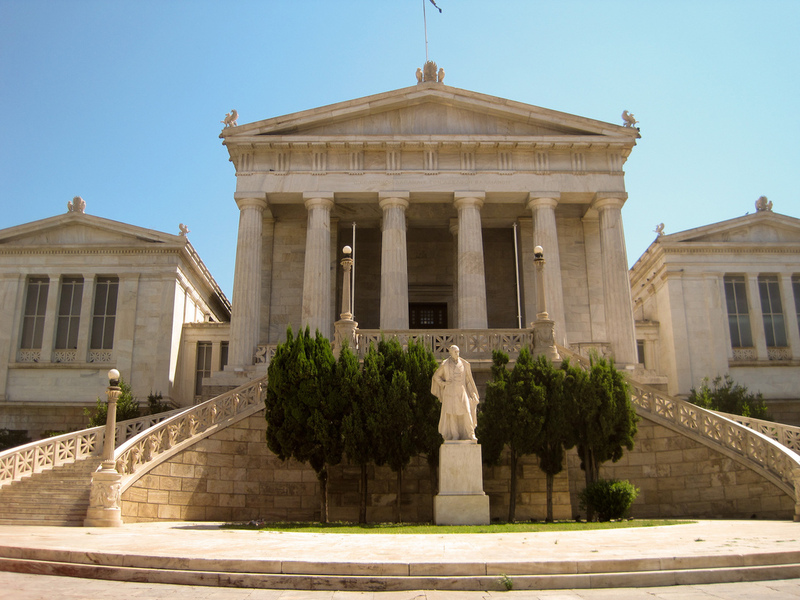 The National Kapodistrian University of Athens consists ​​up of several buildings in the shape of T and has two symmetrical courtyards. The building is in conformity with the esthetic rules of the beginning of the neoclassical period, but it is also adapted to the Mediterranean climate. 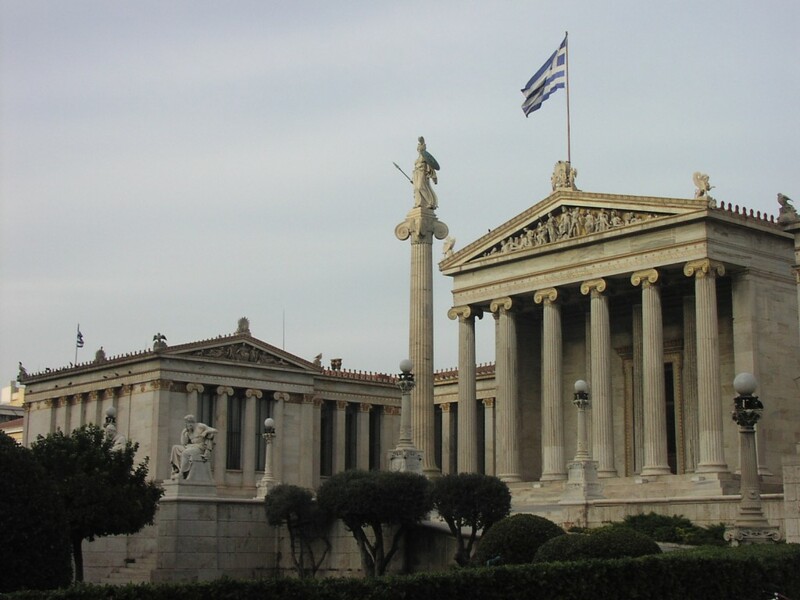 The National Library of Greece is located near downtown Athens, it is the middle one in the trilogy, and the largest, hosting the Reading Room. To get here, you have to go through a row of Doric-style columns (designed after the Temple of Hephaestus in Ancient Agora of Thission, which served as a model), after climbing a monumental double staircase, curved in Renaissance style. The reading room is surrounded by Ionic columns and it is covered by a glass roof. In general, the building is considered to be a characteristic sample of mature neoclassicism. Also known as the Old Palace, the Parliament building in Athens is a beautiful neoclassical building located in the East side of the city. This simple, but the monumental building was designed by the Bavarian Gartner in 1836 for King Otto. The exterior building has four wings, each with three levels. In addition, there is a middle wing, which has two levels, and two courtyards. The Syntagma Square is right in front of the Parliament building and is considered as the main square in Athens. It is also called Constitution Square, because the Greek constitution was proclaimed from the balcony of the royal palace on September 3, 1843. Every hour at the square takes place the royal guard changing ceremony in front of the Parliament building. The ceremony is more complex on Sunday. We hope that we sparked your interest with these beautiful neoclassical buildings in Athens you must see. 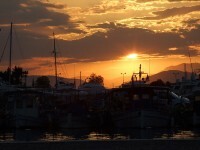 The best season for this would be either spring or autumn, because of the pleasant weather, the hotel availability, the lower prices and because of the light crowds.